Ranging from simple and economical to artistic and elegant, bathroom sinks are a crucial item in the style and function of any bathroom. As we work with you to design your perfect, custom bathroom, let us know how you envision your space. We have done numerous unique and exciting bathroom renovations and installations over the years and we can create just about any look. When selecting the perfect sink for your new bathroom, we first look at the size and materials options available to you. Here we’ve put together a list of some of the material options available for bathroom sinks. Please feel free to reach out to us if you have questions or need more information beyond the scope of what we’ve shown here. And remember, Sunset Granite can work with your ideas and within your budget to help you achieve your dream bathroom space. We carry two different oval, under-mounted, stainless steel sinks. These look stylish and sleek with PentalQuartz countertops and many of our other designs for a modern, minimalist look. A reliable standard in bathroom sinks for decades, much variety can be found in porcelain bathroom sinks. Available in white, off-white and black, porcelain allows a bit more variation in color scheme. Porcelain sinks come in three different installation types. Top-mount can give you a feature that stands out with its purity of color and clean edges. 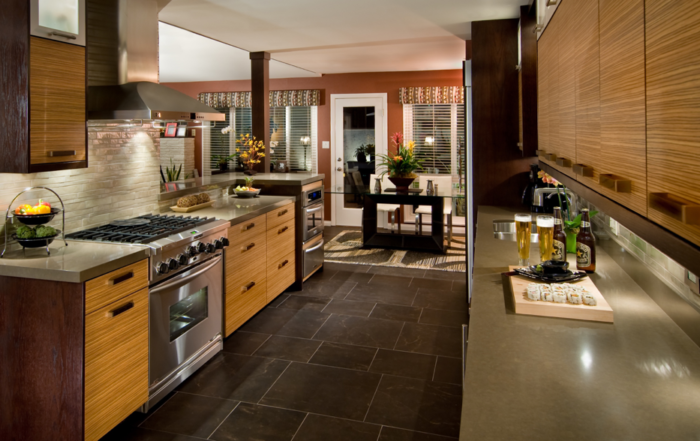 Under-mounting allows for your counters to takes the stage and be the focal point of the bathroom. Vessel style is a modern favorite, standing above the counter like a vase or bowl and can feature a faucet being separate from them. Porcelain bathroom sinks come in four distinct, general, shapes of oval, rectangle, square and round. Copper bathroom sinks provide a superb surface that will gather its natural patina over time from interacting with the water that travels over it. Copper changes color and gets unique patterns from engagement with oxygen. Copper comes in under-mount, top-mount, and vessel styles and is available in rectangular or round forms. 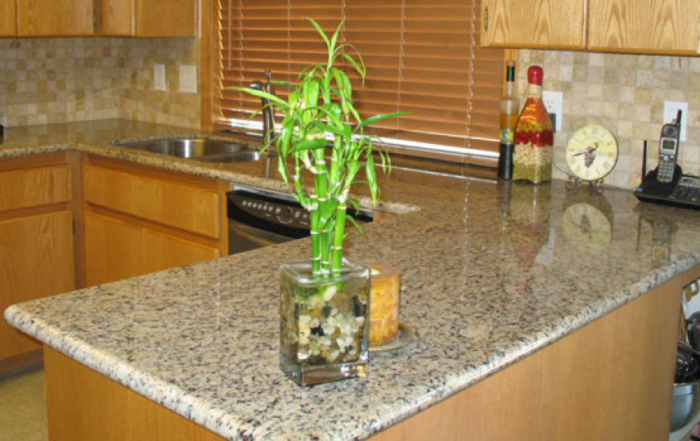 Glass can be a fun and eye-catching attraction that will contrast a beautiful granite or other stone surface. In colors that can match the flashes within the countertop you’ve selected, these playful and interesting visuals really make a splash. Ranging from black and clear to gold or green the color choices you can incorporate into your bathroom are practically limitless. Great differences in the types of naturals stones used make stone bathroom sinks an exciting and elegant use of materials. From the natural layering of sandstone to silky smooth granite with a rough edge, earth-mined stone can make your custom bathroom all the more special. Eco-friendly and renewable bamboo is a soft and earthy addition to a soothing bathroom. The beautiful striations in the natural wood grain make bamboo a great way to bring nature inside. We offer four different bamboo sinks, contact us to learn more about this distinctive option. For a special look with a flair for the different, a bronze bathroom sink makes a solid and bold statement that’s both impressive and unique. From hammered finishes to solid cast shells, a bronze bathroom sink will make a dramatic impression.